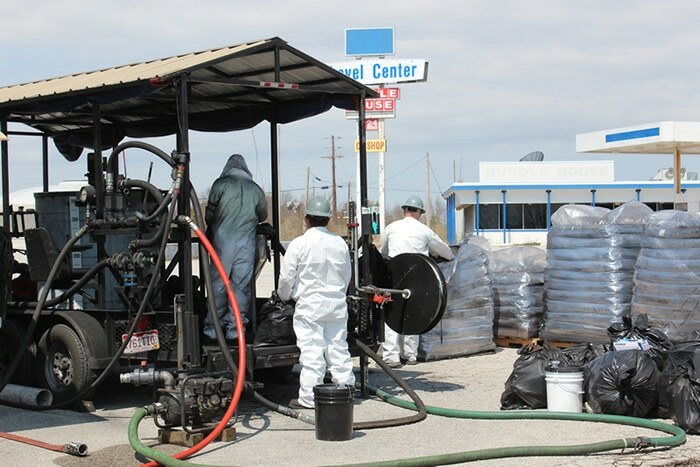 Shield Environmental Defeats Bedrock Contamination with BOS 200® at Truck Stop - Remediation Products, Inc.
Shield Environmental Associates (Lexington, KY) has faced some daunting challenges over many years of successful service to their clients, but this one was remarkable. The Problem: A 320 foot long dissolved BTEX plume in both shallow and deep zones in lithology very unfriendly to direct push sampling or injections. The Team: Shield Environmental Associates and RPI Group affiliates AST Environmental(Midway, KY) and The Well Improvement Company (Fort Collins, CO). The Solution: Air rotary drilling, “one of a kind” specialized straddle packer for discrete sampling and precision injections, electric resistivity imaging survey, geophysical logging, discrete groundwater sampling and high pressure/high flow injections of Trap & Treat® BOS 200® based on a thorough Remediation Design Characterization (RDC). The Result: No Further Action (NFA) letter issued on Feburary 27, 2015 by the Kentucky Underground Storage Tank Branch. The compliance wells have been below the target criteria (< 400ppb BTEX) for 4 quarters. Further note, with the exception of one well, the wells have all been < 5ppb during the same time period. The project leader, Mark Sweet, President of Shield Environmental Associates said“Application of BOS 200® at this site resulted in a remedial solution to a historically challenging site. It was the right solution to address the impacts in view of the complex geological setting posed by the site!” For more detailed information please click hereor contact Mark at mark_sweet@shieldmw.com. Personal note: Mark Sweet took a big chance on us some ten years ago and he still calls. Thank you Mark!